This seascape enlivened by a naval engagement is one of the few works Manet painted entirely in blues and greens - a most difficult combination of colors. 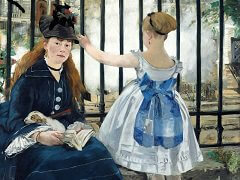 It is also one of the works that received the highest praise during his lifetime. 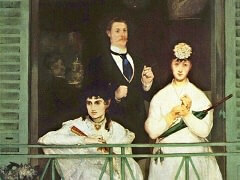 The sea is excellently rendered by one who knows it well. 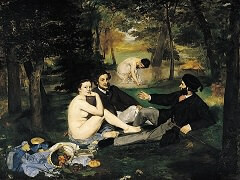 Manet has taken one of Turner's favorite themes and treated it in a realistic manner. 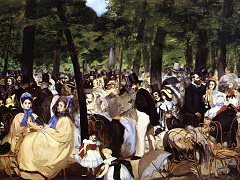 There is nothing to show that Claude Monet, Pissarro, and all the Impressionists would return later to the shuddering impacts, the clouds of smoke, and the mysterious and fearful suggestions of marine paintings by the great English Romantic. 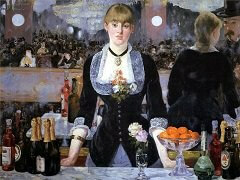 For Manet and the people of his day, this naval battle was a calm and even restful spectacle. 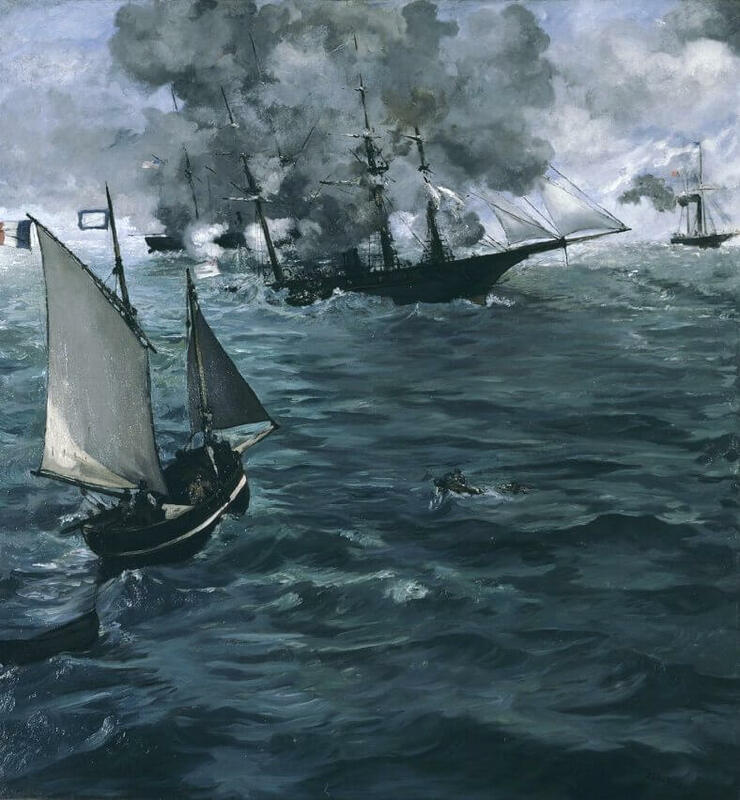 The painting records an incident in the Civil War, when on June 19, 1864, off Cherbourg, the Kearsarge, a corvette belonging to the United States Navy, attacked and sank the Alabama, a Southern privateer. The engagement was expected, and the Cherbourg hotels, already full to overflowing with American sailors, were turning away crowds that had flocked to see the sight. 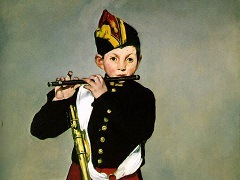 According to Tabarant, Manet was an eyewitness of the battle. 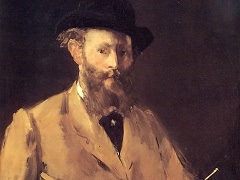 Manet quickly portrayed the event, with the urgency of journalism or politics itself, much as he addressed global politics in his Execution of Maximilian. As for viewers of the painting, the real struggle in this scene of combat is between the sea and the sky, between the waves, the smoke, and the clouds - the true pictorial elements of the canvas.